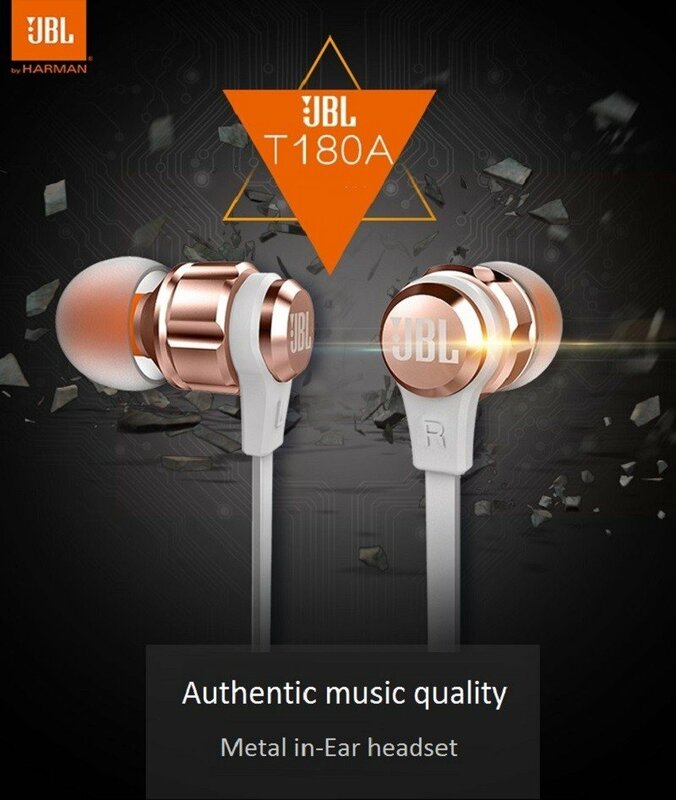 Out with the old and in with the new: introducing the JBL Synchros T180A+ in-ear stereo headphones. 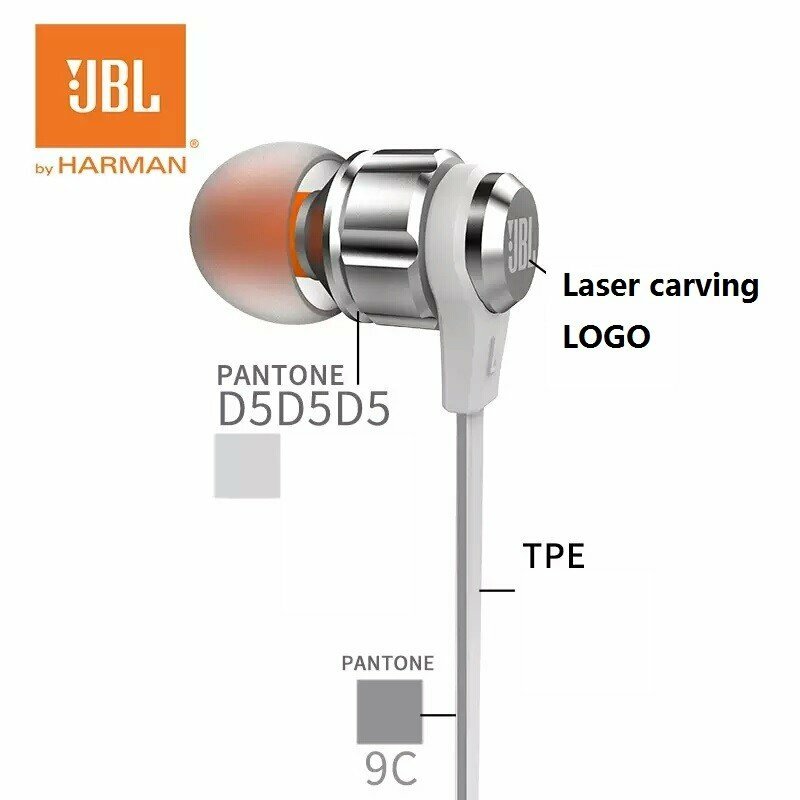 Precision-designed, die-cast aluminum earpieces with metal accents ensure these headphones stand out from the pack. 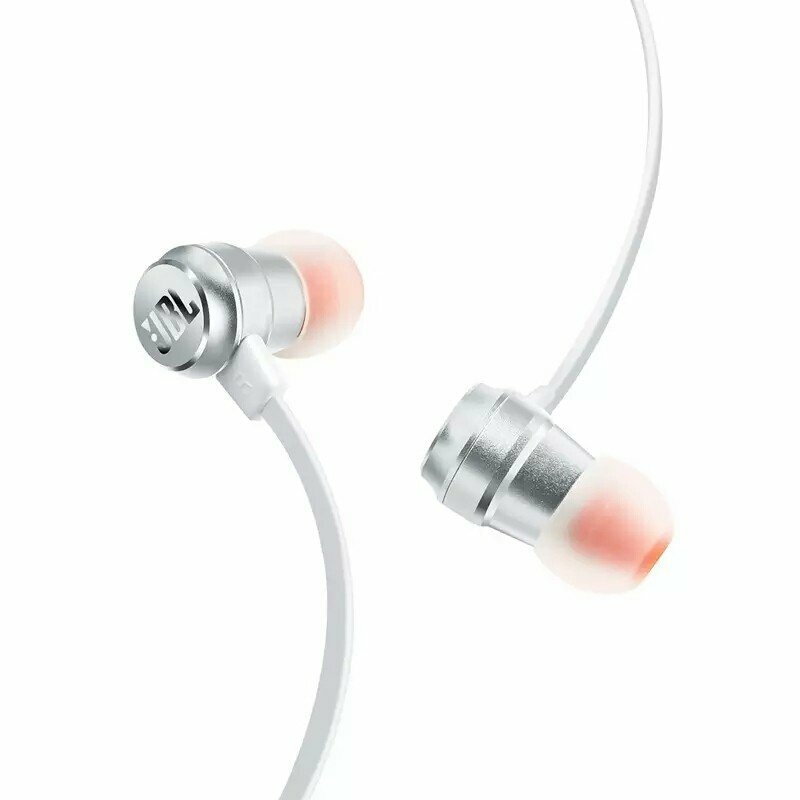 Angled eartips allow for a comfortable, stable fit for hours of listening enjoyment. 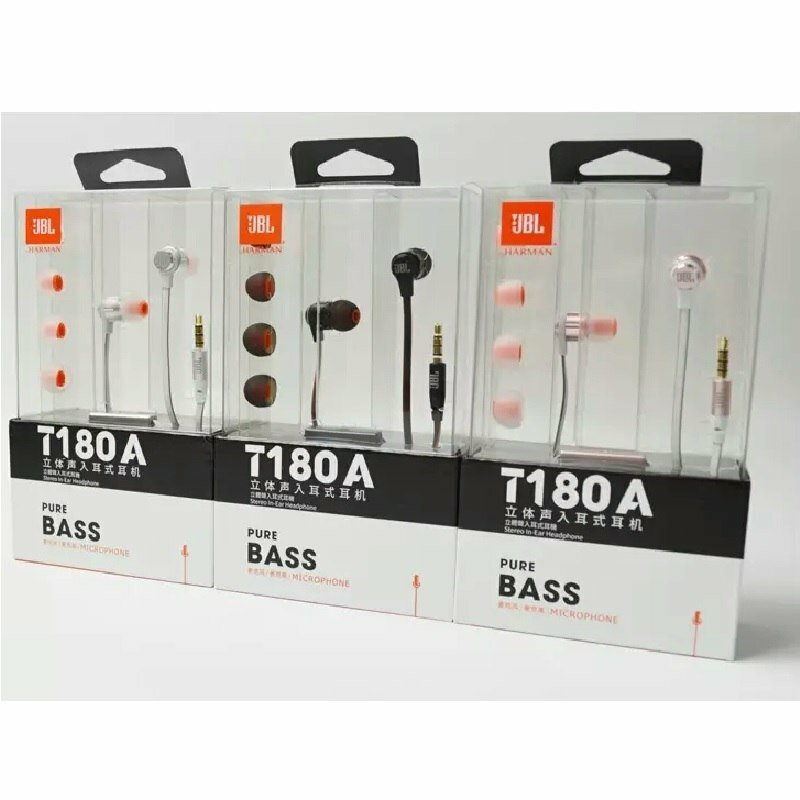 Modeled after the same JBL sound systems used in the worlds most prestigious clubs, the T180A+ delivers a balanced pro-audio experience with amazing clarity and deep, resonant bass. 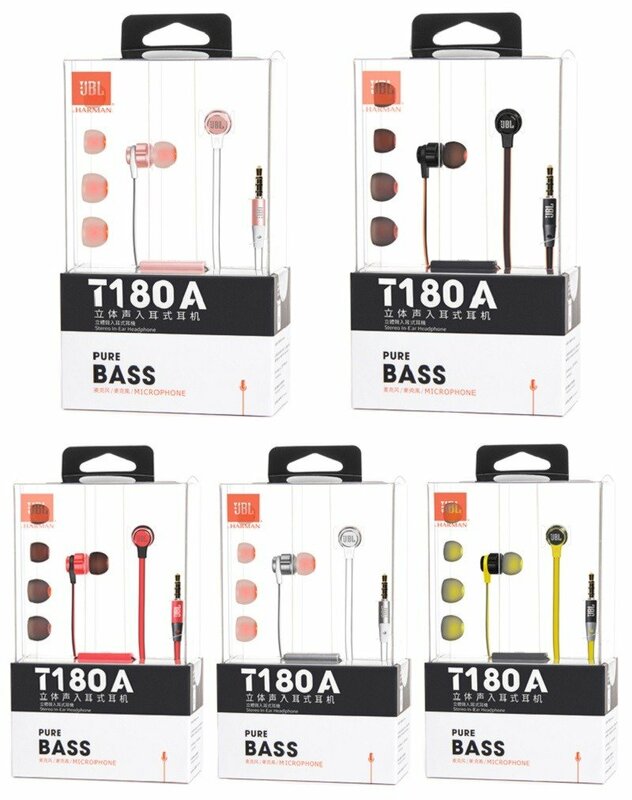 The JBL T180A+ sports an ultra-light, highly durable aluminum frame, making it easy to wear for hour after hour of comfortable listening. 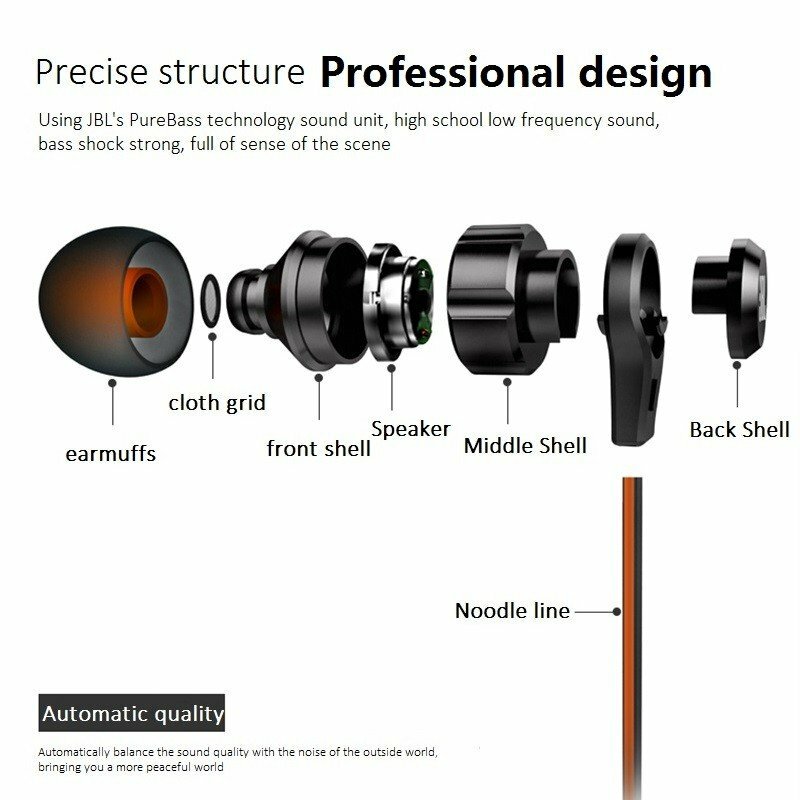 A premium 9 mm driver ideal for high-end sound performance. 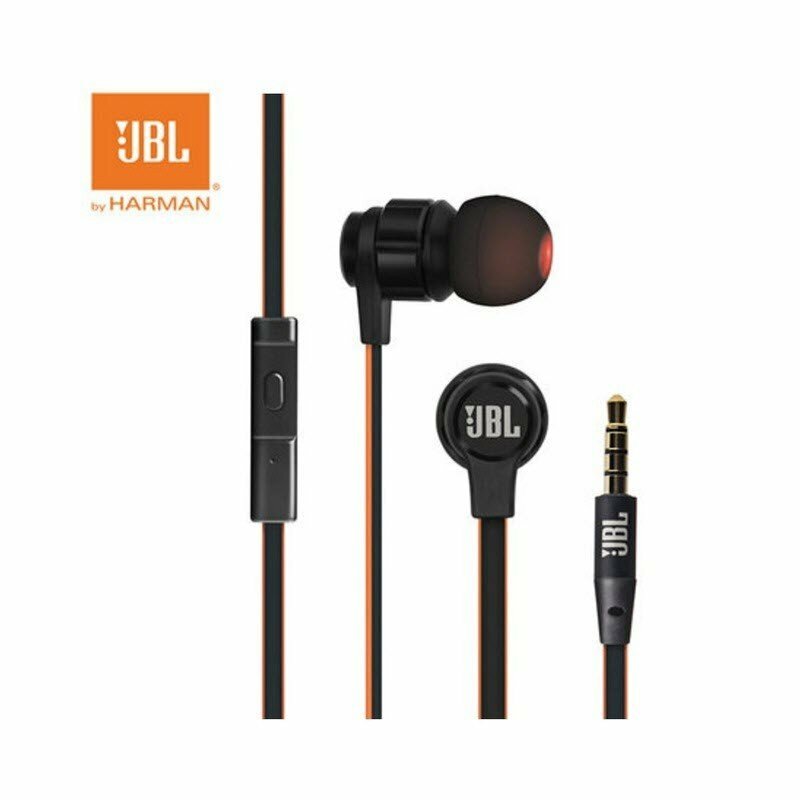 Scientifically designed earpiece acoustics and a premium 9mm driver are at the heart of JBL PureBass performance, bringing you all the raw power and clarity of pulsing bass – the kind you’d expect from the world leader in concert sound. 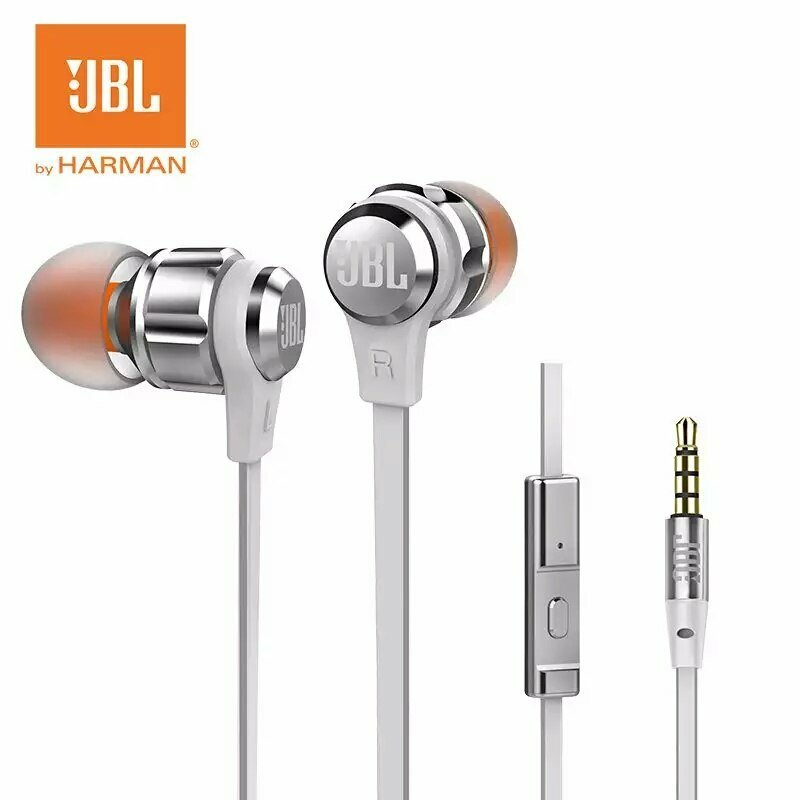 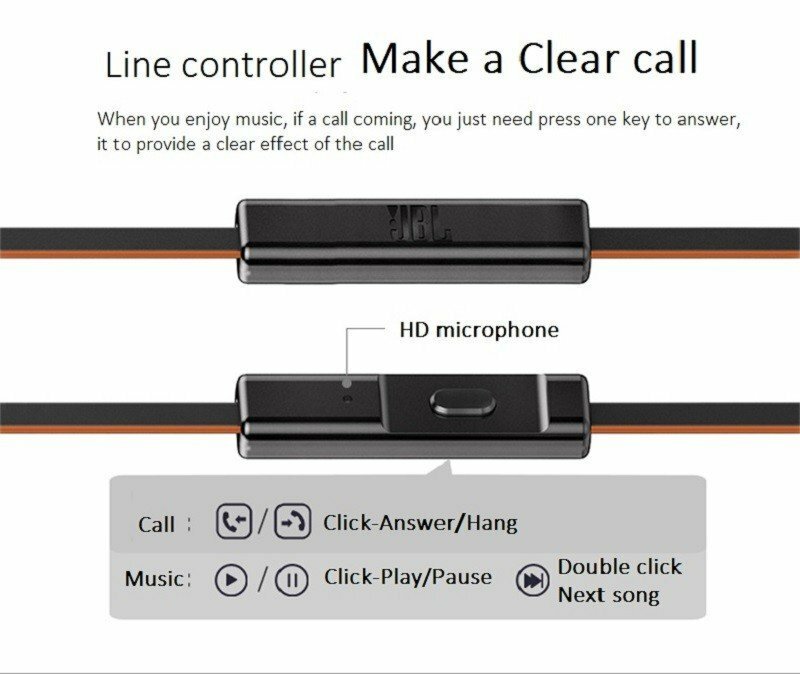 The result speaks for itself: JBL clarity of sound no matter the frequency or volume, letting you enjoy the deepest-hitting drums without sacrificing even a hint of sound quality. 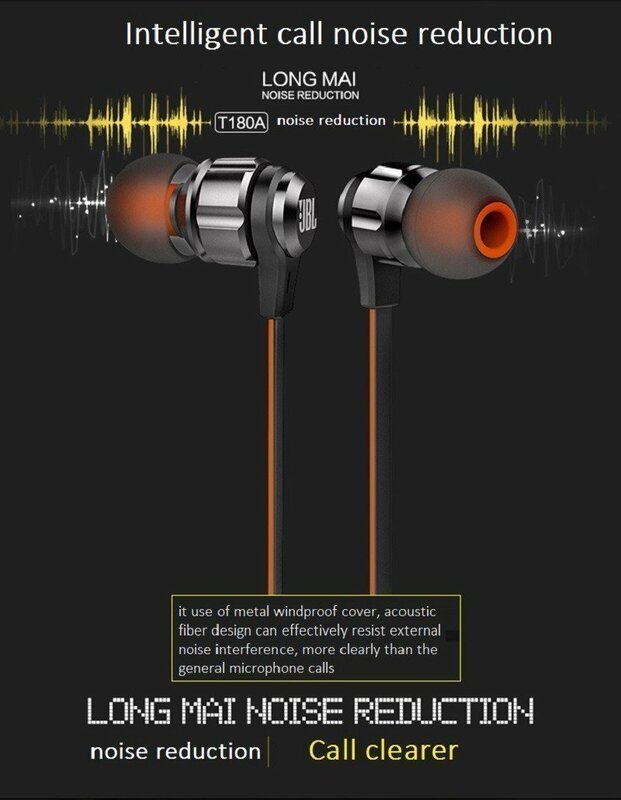 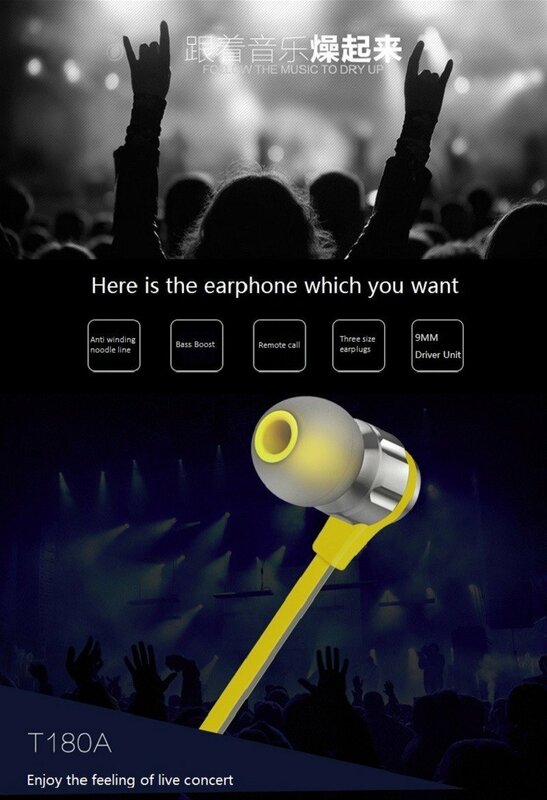 Three sizes of angled ear tips allow for overall ease and comfort of listening experience. 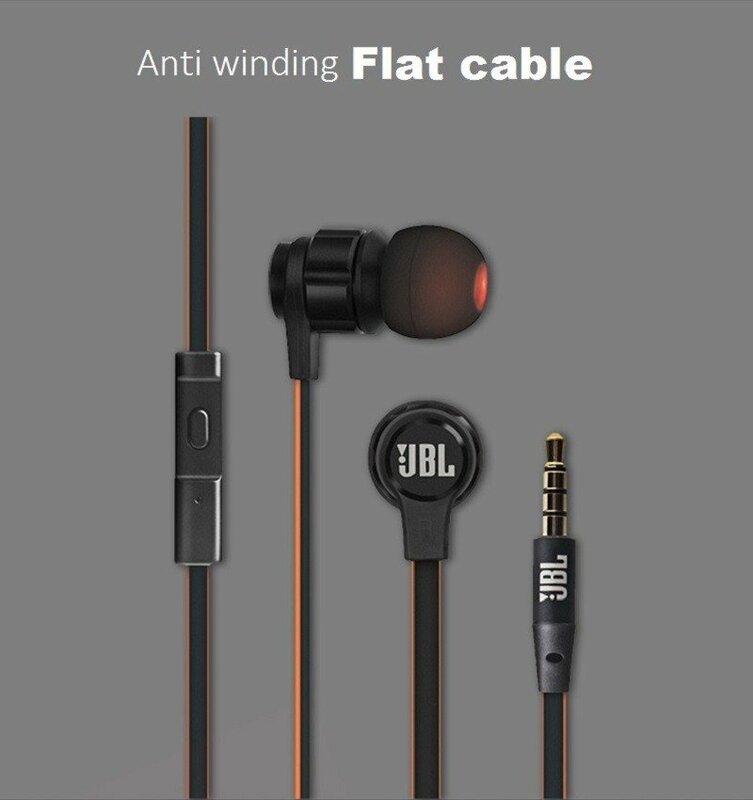 Whatever configuration your T180 flat cable comes in, its custom-designed to be tangle resistant.